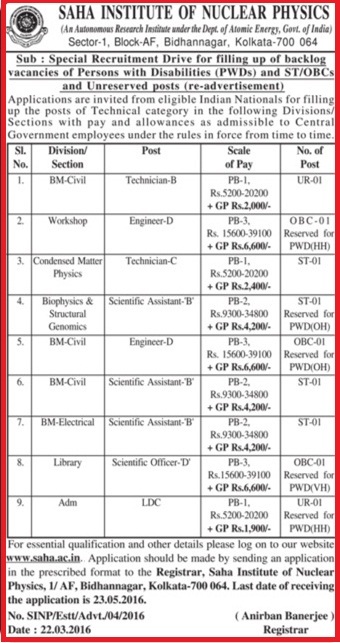 Scientific Assistant in Civil - 01 Post, Scale of Pay: Rs.9300-34800 + Grade Pay Rs.4,200/-. Scientific Assistant in Electrical - 01 Post, Scale of Pay: Rs.9300-34800 + Grade Pay Rs.4,200/-. How to Apply: Interested and Eligible candidates should download the application form and filled in application form along with self attested copies of relevant certificates/testimonials should reach the following address.